Monbento MB Positive Medium Water Bottle lets you look on the bright side with this reusable bottle! BPA-free, you can take it to all of your fitness classes or pop it into your bag for work. 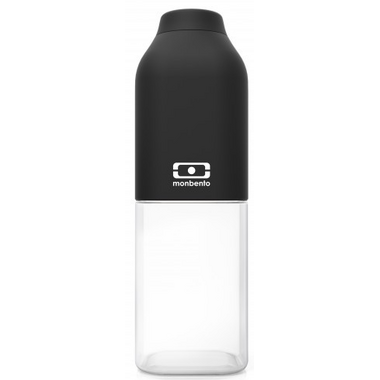 Practical, environmentally friendly, stylish and economical, this water bottle has everything going for it! Sustainable: Made in Tritan®, a high quality plastic, the MB Positive bottle is shock resistant and as transparent as glass. Who said you can’t be robust and chic at the same time? Ultra-compact: As well as being original, this box’s square shape allows for maximum capacity within a minimum space: the glass will always be half full with the MB Positive! 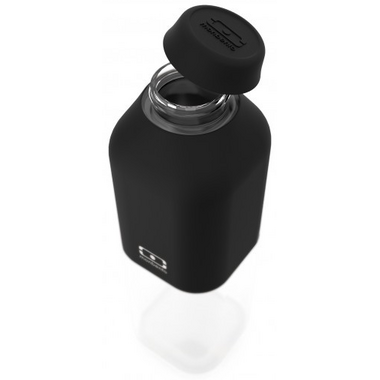 Safe: BPA-free and made from quality materials, the MB Positive bottle is food safe and conserves flavours. A reliable bottle that’s great for the whole family!